Traditional style is a good place to start when we are talking about style because it’s easy to understand. 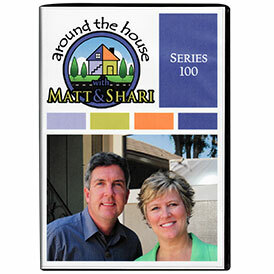 It’s about everything classic, like classic themes, colors and all the classic furniture styles you’ve heard of over the years. 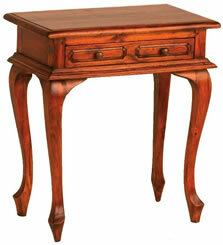 This side table is an excellent example of traditional detailing. 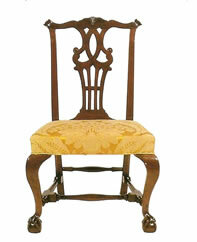 It is in the familiar Queen Anne style with curved legs called cabriole legs. Queen Anne style wing back chairs also have these cabriole legs. Another style that is quickly recognized as traditional is the Chippendale style with its elaborate carved chair backs and ball and claw foot. Traditional style is about detail and ornamentation. Let’s take a look at several pieces from the traditional style. 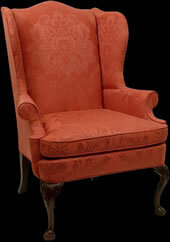 We have a Queen Anne style wing back chair with the short cabriole leg and side wings that give it its name. 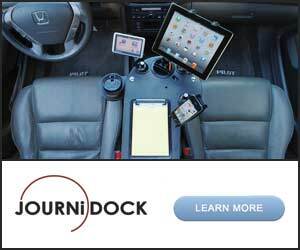 It is upholstered in a pretty damask fabric which is a common traditional fabric. One single color but woven into an intricate floral type design. 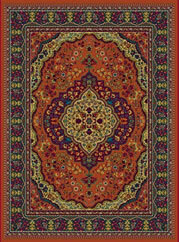 A traditional style area rug of course displays traditional patterns. This one with the center medallion is very common. Like traditional furniture, it has curved lines and lots of detailing. 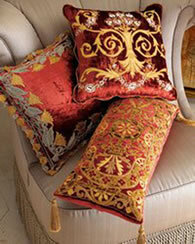 These traditional pillows have what seems to be a bit of an eastern influence to them, but I liked their color with what I have selected above and they are made out of velvet which is another traditional fabric. Notice the detail in the stitching of course but also the added tassels. For the wall mirror, an oval is very traditional in style and works well with all the soft curves of the chair and with the medallion in the center of the area rug. 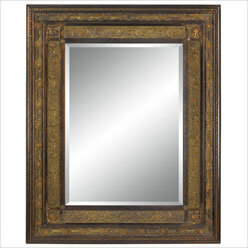 This one is in an antique brass or gold finish which is widely used in traditional design. 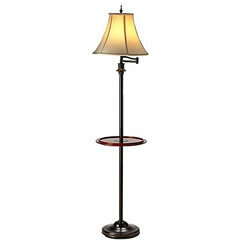 This pretty floor lamp has the graceful curves of the traditional style in its shade and some refined detailing in the finial and swing arm along with the added table top. This is in a dark antique brass finish. Then in the traditionally furnished room scene we see the soft rolled arms on the leather chairs, a Chinese Chippendale arm chair and an oval mirror. As expected for traditional rooms, a neutral background on the walls and the use of deep, warm and inviting colors like the red and blue. Patterns to expect would be floral and stripes and the use of damask as on the wing chair as well as brocades and velvets. Drapery treatments are usually more elaborate with either layering at the window like in this room with the blind and the over drape, or you’ll see swags and jabots or cornices. Look for tassels like on the pillows and tiebacks are prevalent as well. You can see that the lamps all have those curved shades and the ceramic urn shape sitting on a wooden base is quite common. 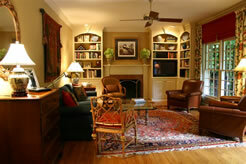 Then add traditional accessories like books, flowers, mirrors, still life prints and family photos all make sense. 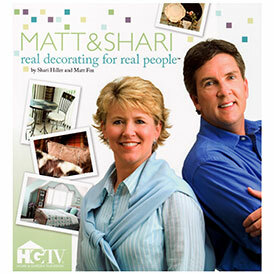 Basically, a combination of traditional elements will create a classic and timeless look.